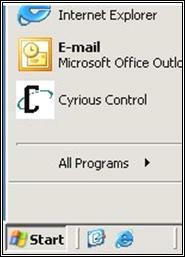 Cyrious Control currently operates on Windows 2000 and Windows XP Pro. Since the two operating systems are so similar, it does not matter which version of Windows you choose to utilize, as long as you are comfortable using one of them. Used for limited-length text fields. Click in the box to enter text. Click inside the box to enter text. Click in the box to enter text. Selection Button Click to select. click on the arrow to increase or decrease the quantity. Page Control/Tab Sheet Click to select. Used for selection lists. Click on down-arrow to reveal the options available. Menu Bar Click to select. Located in the top-right corner of the Cyrious main window. Click to select. Has corresponding options to the buttons. Located in the top-left corner of the Cyrious main window. Select option. In addition to menus and toolbars, some of the commands have shortcut keys for quicker, easier access. Most use the CONTROL (Ctrl) Key plus another key. Some use the SHIFT plus CTRL plus another key. Try some of the options below for yourself and perhaps, keep a copy of this page nearby for quick reference. 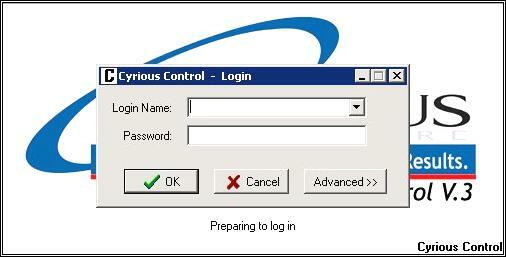 First you must login to Cyrious Control. Once installed, the icon should appear in your start menu. option and then select from a list. Each user's computer will probably be set up differently – some do not have many icons on the desktop and others may only use that method. There is no set rule for accessing the Cyrious Control program. 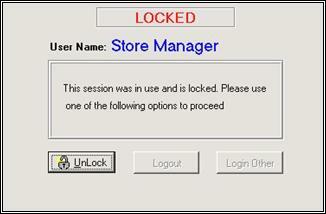 Once you have started to Control, this Login Screen will appear, prompting you for a Login Name and Password. When you are leaving your computer unattended for any length of time, this option should be used to protect your information from unauthorized viewing or use. When selected, a pop-up window appears. 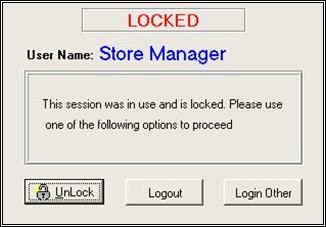 The user will have to enter their password when they get back to the system. If you leave your system unattended and do not Lock the Screen, you may find that the system has automatically locked it for you. 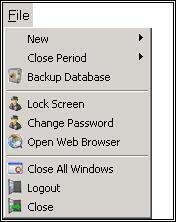 This option will bring up a pop up window with a password change dialog box. An original password is provided by the System Administrator and they may have the option for each user to change it the first time they use the system. 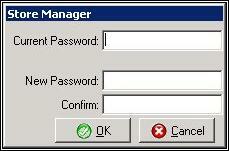 Passwords can always be changed by the System Administrator to provide added security for the Control system.